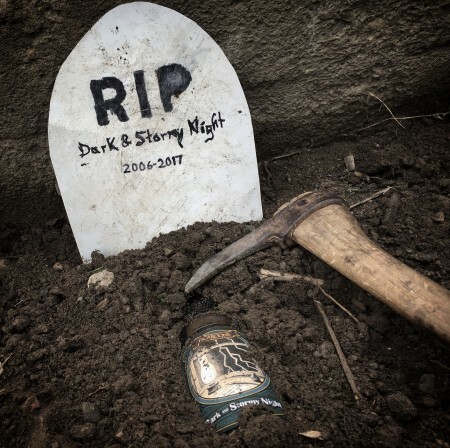 FREDERICTON, NB – Picaroons Traditional Ales has announced that due to a legal challenge against the name, the brewery’s dark wheat ale Dark & Stormy Night is being discontinued after 11 years. A long time ago we received a cease and desist order from a big name in the spirits world saying that this beer infringed on one of their products. We certainly did not go out without a fight, though after months and months we’ve officially lost the battle and are now retiring our lightest dark beer. It will be missed – though the silver lining is that we have all kinds of other beers in our repertoire and this may just make some more room for something else down the road. Current stock of the beer will continue to be sold, but once the remaining bottles and kegs are gone, Dark & Stormy Night will no longer be available.